The average women's clothing size is a bit of a moving target. In 2016, a comprehensive study by the International Journal of Fashion Design, Technology, and Education debunked a figure most women had come to accept as "average." In summary, the journal suggested prioritizing a fairly massive overhaul of both Misses and Plus size clothing standards because the average American woman actually wears a size 16 to 18, not size 14, as once was assumed. What's the reason for the increase in clothing size? And why, in 2018 — despite the incredibly thorough report and resulting recommendation — is the average American woman struggling to feel normal and instead feeling somehow less than her slender peers? To understand this, you'll first have to go back in time. 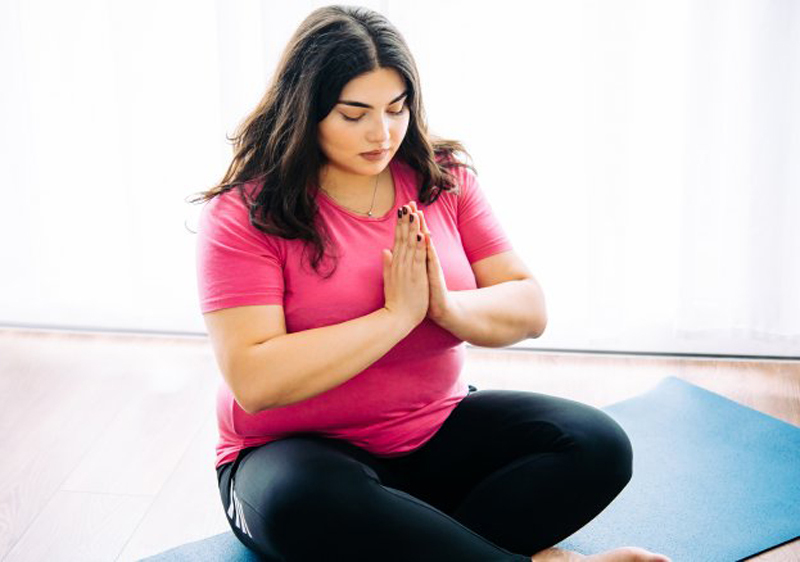 According to the Centers for Disease Control and Prevention (CDC), more than one-third of American adults are obese, with an even higher prevalence of obesity in women. In fact, after collating data from the CDC, CBS Atlanta News reported that as of 2016, women began to weigh the same as the average man weighed in 1960. In fact, according to report statistics from The State of Obesity compiled by US News, the average American weighs about 24 pounds more than in 1960. There's really no denying that Americans have put on some pounds, but why? There's a myriad of reasons, as stated by the CDC — from your genetics even to where you live — causing the CDC to label obesity as a "complex health issue." Are people in the United States the only ones sporting a few extra pounds? No, not even close. While one-third of the United States population is considered obese, the rates are even higher in other parts of the world. In Tonga, for example, the obesity rate in men has exceeded 50 percent, according to a study by The Lancet. It's not just men dealing with obesity overseas either. 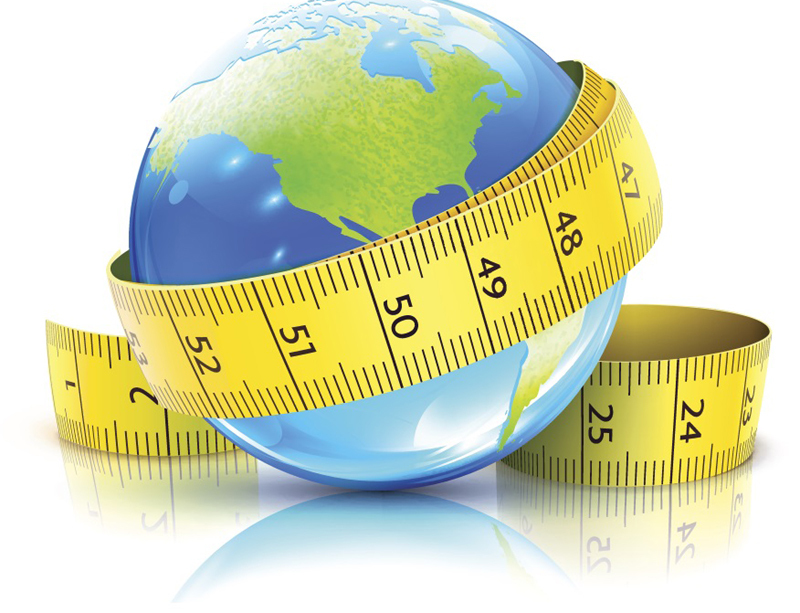 Women from other countries, too, have surpassed the United States obesity rate. In Qatar and Libya, among others, more than half of all women are obese. Even in parts of the world where the statistics are indeed lower than in the United States, they're still quite high. Another study published by The Lancet reported 21 percent of both men and women in western Europe are obese and the number is only expected to increase. Surely, obesity is not just of interest to the American people. Still, if obesity is thought to be genetic, there's nothing you can do but accept your size, right? Well, there's more to it than just your genes. As it turns out, it has a little something to do with your jeans, too. Men and women may be heavier than in years past but weight is definitely not the only thing affecting the average clothing size, especially for women. According to Slate, prior to the 1940s, most of women's clothing was made-to-measure so there was really no need for standardized sizes. When ready-made clothing hit the market, that all changed. But, who was to decide what was, say, a size 4 and what was a size 12? The government, apparently. The article further explained that the federal government attempted to quantify the average American female body, but that didn't go so well considering they used men's measurements — essentially just chest dimensions — as their model. Women's bust sizes are, of course, a bit more variable. Fast forward to 1958 and numbered sizes 8 through 38, along with the letters T, R, and S, which stood for tall, regular, and short respectively, became the industry standard. However, by 1970 this standard became voluntary and, in 1983, the government withdrew the standard in its entirety. And for very good reasons, it seems. The results of the study — which were used to determine the standard clothing sizes — were potentially tainted by paying people to participate. Not only that but the study also failed to include any women of color. So, where does that leave American shoppers today? In a world of vanity dress sizes, it seems. Thinking of your own experience shopping for clothes, I'm sure you've noticed the absolute madness that is women's clothing sizes. In the fitting room, you might feel a bit like Goldilocks trying on a size 12 that's too big, a 14 that won't even budge passed your hips, and, somehow, another size 12 that fits perfectly. Designers began taking liberties when sizing women's clothing within the past few decade, adding extra fabric — sometimes as much as eight inches —to garments without altering the number on the label. This has been dubbed vanity sizing, according to Cosmopolitan. Sales go up when dress sizes go down, it appears. Women feel better, and therefore buy more, when they fit into a size smaller than expected. This psychological trick may benefit companies but it wreaks havoc on a consumer's psyche. "Since size is something we care about deeply, our emotional response overpowers logic. We want so badly to be assured that we're thin and beautiful," Susan Head, a body-image specialist and clinical psychologist, explained to Cosmopolitan. Head also added, "The fact that there's not one standard to compare ourselves to creates anxiety because we have no control. We are in the dark and detached from our bodies." With dress sizes being, quite frankly, all over the place, you'd think there would be a wide range of sizes readily available to you. Unfortunately, that is not the case. Women's Wear Daily reported that women's clothing is a $110 billion business. Yet, plus size sales only account for around 16 percent of that total. Knowing that the average American woman is indeed considered plus size, you have to ask, "What in the world is going on here? At the time the article was published, stores like Lululemon, Urban Outfitters, and J. Crew didn't even sell sizes above 12 while other stores were choosing to stop at size 10. While there are speciality stores for plus size women, they often begin with the lowest size of 16, according to Cosmopolitan. What of the women in between? Women's Wear Daily dubbed this the "black hole" — too thin for plus size and apparently too "big" for regular. Plus size stores merely existing doesn't mean the options for average American women are endless. Poor fit is still a common problem. After all, plus size clothing is based on the dimensions of women between the sizes 0 to 6, according to an article by Forbes. In a way, this is similar to how women's ready-made clothing was first designed in the 1940s — fashioned after men's dimensions. Of course, this isn't the 1940s anymore so American clothing has some major catching up to do. Even the term "plus size" itself could be called into question. What words come to your mind when you think of the word "plus?" Perhaps "additional" or "more," maybe "extra" or even "bigger." What woman would want her body thought of in those terms? "Words have power. Calling women plus size is denigrating," author and fashion designer Western Bonime wrote for Forbes. It's also worth pointing out that if the average American woman wears a size 16 or 18, why are sizes 16 and above referred to as plus size? It's a head-scratcher, for sure. Weight index versus dress size: which to trust? Now that you know you can't trust your dress size not to lie to you, who or what can you trust? 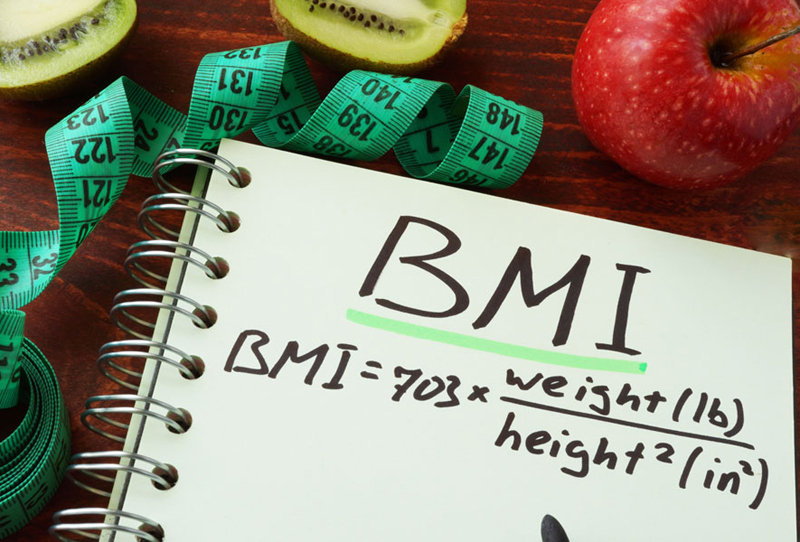 Many look to their Body Mass Index (B.M.I.) 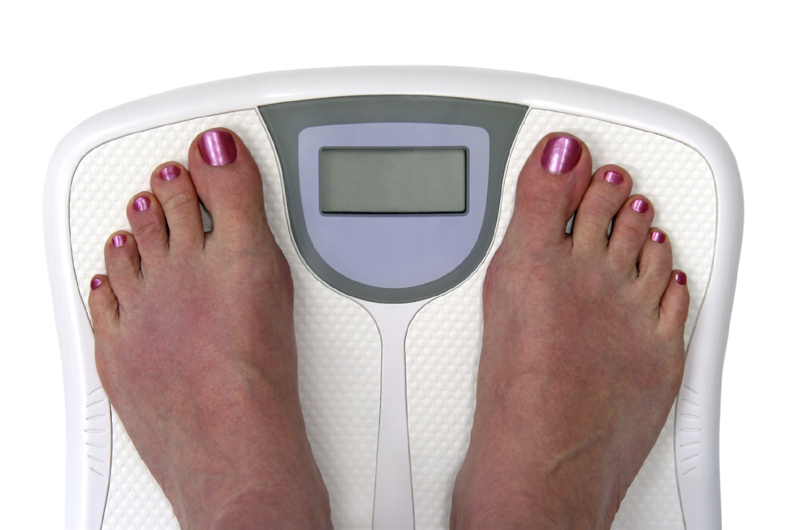 in order to determine whether they are either underweight, normal weight, overweight, or obese. It is certainly the easiest way to get a snapshot of your health, but it's really not a complete picture. "The B.M.I. tables are excellent for identifying obesity and body fat in large populations," Dr. Carl Lavie, a cardiologist at the Ochsner Heart and Vascular Institute in New Orleans, told the New York Times. He added, "[B]ut they are far less reliable for determining fatness in individuals." Being thin doesn't necessarily mean you're healthy just as being overweight doesn't necessarily mean you're unhealthy. Dr. Lavie explained the limitations of the weight index, "A woman who is 5 feet 5 inches tall and weighs 120 to 125 pounds could be quite fat even though her weight and B.M.I. seem O.K." Additionally, "a six-foot, 250-pound man will be obese, but if he were an N.F.L. lineman of 6-foot-3 weighing 280 pounds, he might be solid muscle with only 2 percent body fat." Still, your B.M.I. is more reliable than going by dress size. However, an even better indicator, as discussed in the article, would be the skin-fold test — essentially a test using calipers to measure select areas of the body, like thighs and triceps. 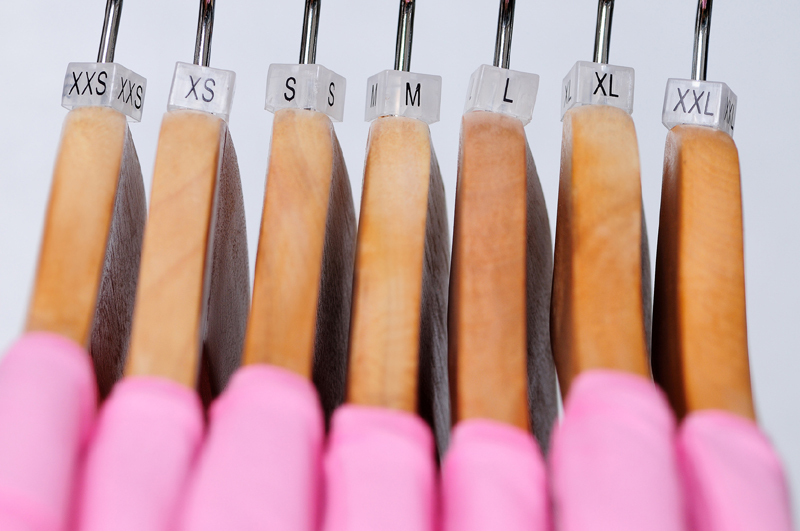 Does your dress size even make a difference in your health? We know dress size doesn't define beauty. But does your dress size, or even your B.M.I., really matter when it comes to your health? Well, yes. Sort of. According to a study published by the National Center for Biotechnology Information, the "obesity epidemic" is, at times, greatly exaggerated. Both the causes and consequences of obesity have been found to exceed the scientific proof. That's not to say being overweight is necessarily healthy. Heart disease, high blood pressure, and diabetes have all been definitively linked to obesity. However, it's more than just your weight that matters. Another comprehensive study published in PLOS Medicine found that obese people who exercise have a longer life expectancy — over three years — than those who are of normal weight. Exercise, it would appear, makes an even more profound impact on your health than weight. Thankfully, the fashion industry is beginning to realize that the average American woman likes to exercise too. Go figure! Women's Wear Daily reported that Universal Standard launched an activewear collection in 2018. The company's cofounder and chief operating officer, Alexandra Waldman, told WWD, "This consumer is so consistently sidestepped in terms of quality and performance, that she is in a continual state of waiting to be taken seriously. We knew what was missing not only from the constant stream of feedback from this consumer — but from being this consumer." While it is a bit discouraging that massive change in this market didn't really begin until 2018, it is exciting to see women sizes 10 to 28 finally incorporated. After all, an estimated 100 million American women are thought to be a size 14 or above, now also known as "average." It's not just the end of exclusion for fitness wear either. The end of "plus size" is, seemingly, nigh. "If we are still talking about a plus-size market 10 years from now, we will have failed," Waldman explained in an interview with Fast Company. "Our goal is to make sure that term doesn't exist anymore."